In France they call it “pot au feu, “ in Italy “bollito misto,” in Spain “cocido Madrileño.” In Portugal we call it “cozido.” The concept is the same, but the taste differs remarkably from region to region. Cuts of meats that require long periods of cooking are combined with sausages, potatoes, chickpeas, cabbages, and other vegetables. There are no gimmicks, no complex sauce reductions, no overpowering spices, only great ingredients. In the island of Azores, they prepare the cozido by burying the pot in volcanic soil, where it cooks slowly in geothermal heat. There are no volcanos in continental Portugal, so we have to use regular stoves to do the cooking. 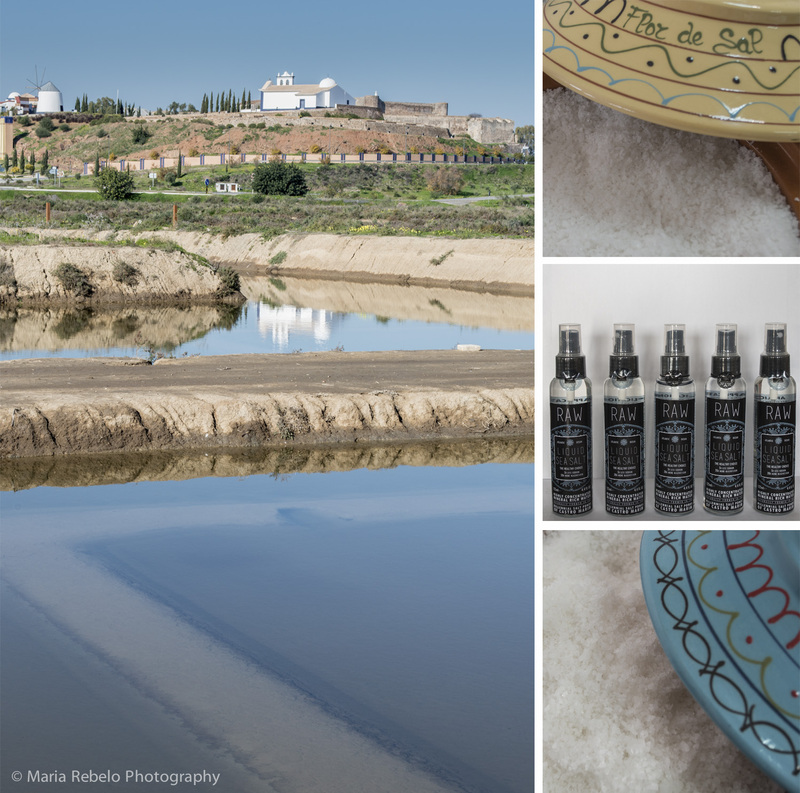 One of the best cozidos is served every Sunday by Companhia das Lezírias, near Vila Franca de Xira, 50 Kms from Lisbon. It is a posh cozido made with wild game that imparts a unique taste to the preparation. Trying this delicacy requires planing, since it is indispensable to make reservations in advance. Call the Companhia das Lezírias to book a table for a group of friends and, when the time comes, you’ll enjoy a very satisfying meal in the company of very happy friends. Click here for the website of the restaurant and here for directions. You can make reservations by calling 263 654 985 or emailing rest.coudelaria@clix.pt. Happiness researchers find that emotional peaks, moments of great joy or sadness, have a lasting impact on our happiness. Travel vacations give us a chance to collect nuggets of joy that we can savor in the future. A great way to relive a vacation in a foreign country is to cook some of the food we tried. Tastes and smells have the power to put us in another place and time. 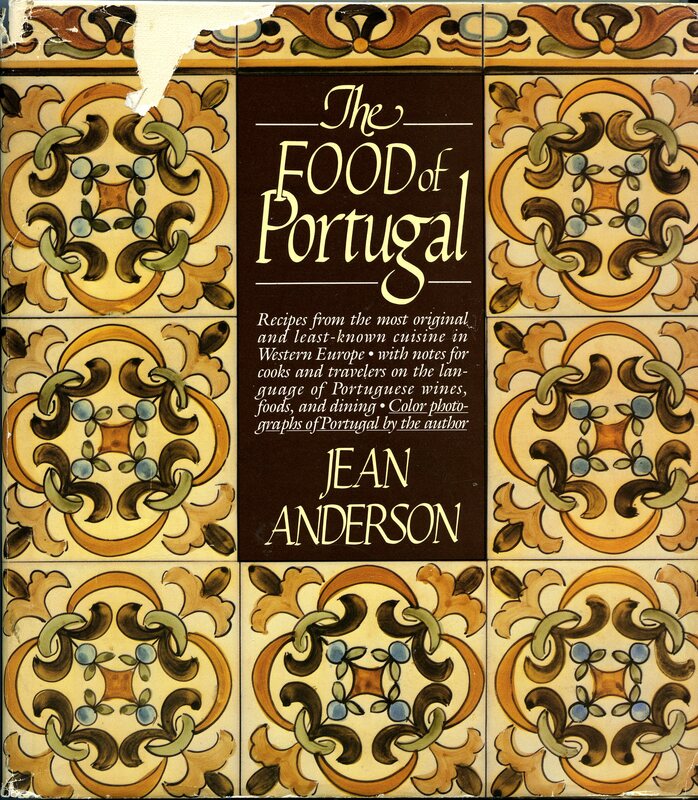 We are lucky that a talented American cookbook author, Jean Anderson, wrote detailed recipes for many classic Portuguese dishes. With her book “The Food of Portugal” in hand, you can cook food that will remind you of dining in a medieval city, a Port-wine quinta or a beach-side restaurant. These memories will bring you happiness, qb. 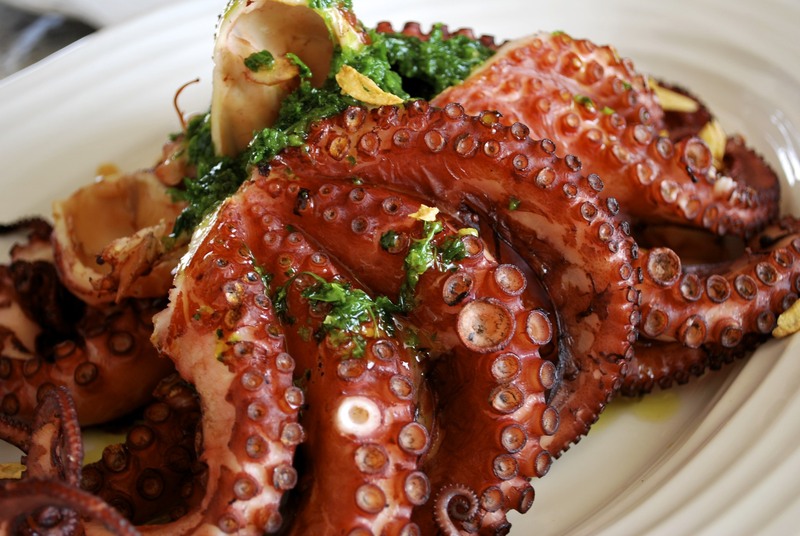 When you eat octopus in a Portuguese restaurant, it is always tender and delicious. But, when you buy fresh octopus and cook it at home, it often turns into a rubbery disappointment. Portuguese chefs stage an elaborate disinformation campaign to keep secret their cooking technique. They tell you to cook the octopus with an onion, a cork, or a nail; or leave it in the pot until the water is cold; or cook it in red wine or in red vinegar; or beat it three times on the kitchen counter; or “scare” it by raising it from the boiling water. All these tricks produce inedible, chewy octopus. So, how do you tenderize this eight-armed mollusk? You freeze the fresh octopus before you cook it! That’s all. But please don’t tell anyone; it’s a secret.